This week on Dezeen, an angular country home based on hop kilns won the title of UK house of the year, and 30 projects were shortlisted for the Don't Move, Improve! 2018 awards. 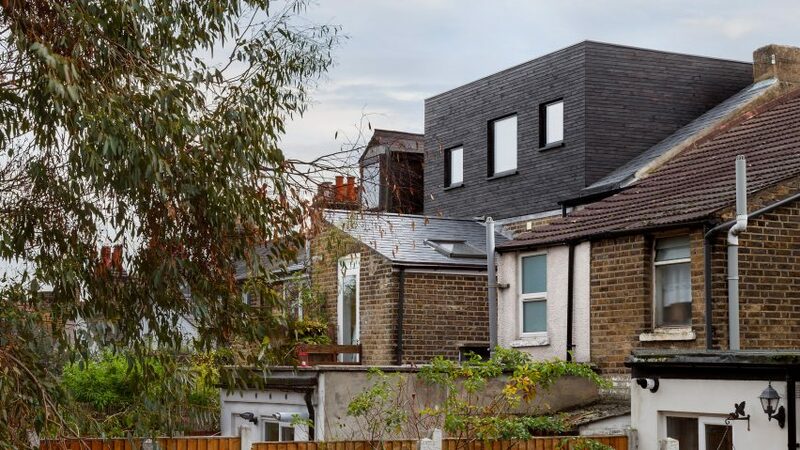 London's best new house extensions were revealed in the Don't Move, Improve! 2018 shortlist – an annual competition to find the best renovated homes in the UK's capital. RIBA announced the winner of its House of the Year 2017 title. Caring Wood, designed by British architects James Macdonald Wright and Niall Maxwell, was described by the judges described as "brave". Elsewhere in the UK, architects gave their two cents on the government's house-building plans for Oxford and Cambridge, and Richard Rogers, Rem Koolhaas and Toyo Ito called for the AA to drop plans for staff cuts. New York has moved to bestow landmark status to Philip Johnson's postmodern AT&T skyscraper – an action that could stop Snøhetta's planned renovation of the building from going ahead. Meanwhile, the Scandinavian firm set its sights elsewhere in Manhattan, unveiling plans for a residential tower on the Upper West Side with an angular terrace sliced out of its facade. British practise Allies and Morrison designed a new city for Oman, while a masterplan for the latest American smart city was unveiled for Boston. We published a set of photographs showcasing MAD's mountainous housing at dawn, while the Chinese firm released new images of a hilltop village in Beverly Hills. In automotive news, Formula One's branding received an overhaul for the first time in two decades and BMW added a new convertible sports car to its range of hybrid electric vehicles. Artist Igor Gurovich designed a 1920s-style retro poster for the 2018 FIFA World Cup in Russia and Anish Kapoor unveiled a sculptural design for next year's Brit Awards trophies. Environmental issues also made headlines this week, which saw Stella McCartney pan the"incredibly wasteful" fashion industry and designer Marije Vogelzang described the global food system as "sick". Popular projects this week included a London members' club with art deco interiors, a treehouse in western Canada for birds and humans, and a device for curing smartphone addiction. "Nice to see a new contender for the Carbuncle Cup"